While there are many mold removal companies in Atlanta, Georgia, Abatement Solutions, Inc. stands out for its phenomenal customer support. When you hire us, we will assign a single project manager to your project, who will be available at all times for your questions or concerns so that you can stay informed throughout the mold remediation process. Comprehensive service – Drawing upon our extensive expertise, we can complete the inspection, remediation, reconstruction, and prevention work needed to return your home or business in Atlanta, GA, to its pre-mold condition. 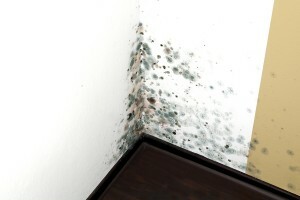 That way, you can have all your mold-related needs met by a single, trusted provider. Effective treatment – We utilize the most effective mold removal tools available, including air scrubbers with HEPA filters, advanced peroxide cleaners, EPA-registered fungicides, and preventative mold treatments. We will use these tools to eliminate hazardous mold growth in your home or business and to prevent it from returning. Our certification letter guarantee – If we are hired to treat an indoor area that people live or work in, we will have an independent inspector come test air samples in the space after we’ve completed our work. We will not consider our work done until you are provided a certification letter stating that we’ve made the space a healthy environment again. To rid your home or business of hazardous mold growth, contact Abatement Solutions today. We are one of the preferred mold removal companies for realtors, property owners, and property management companies in the Atlanta, GA, area.